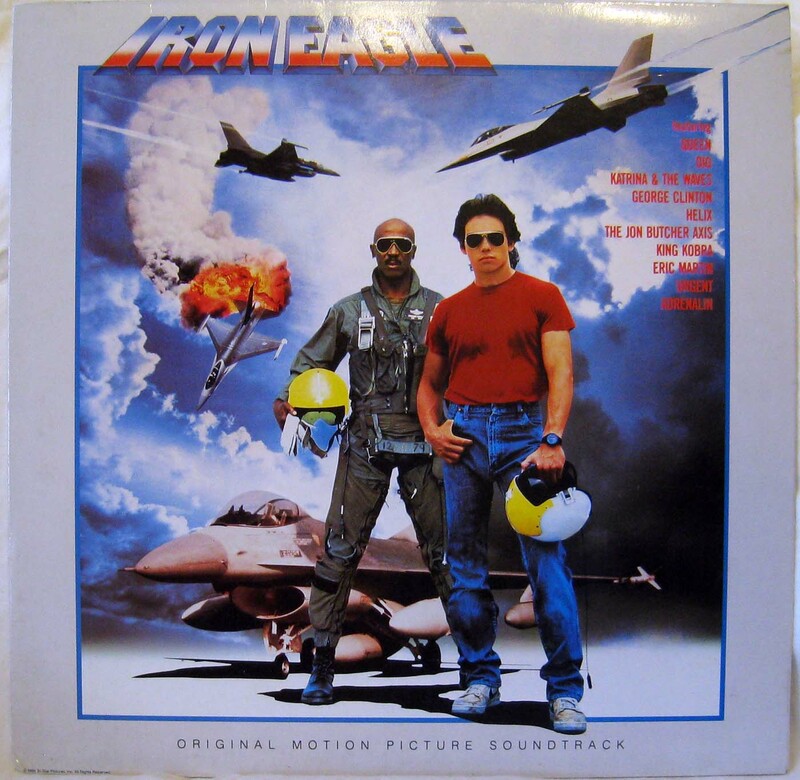 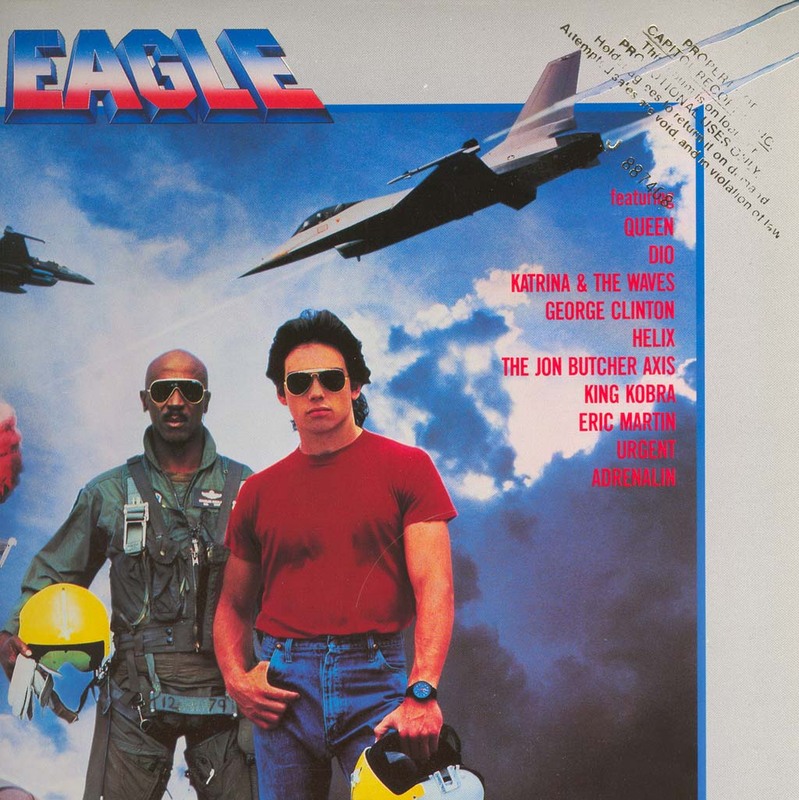 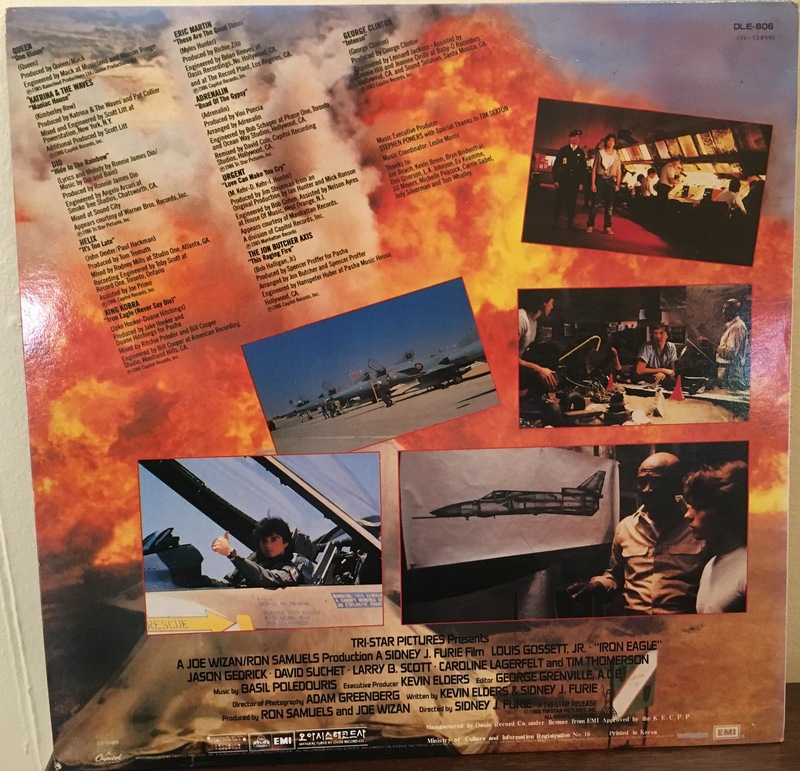 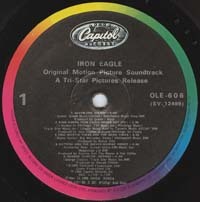 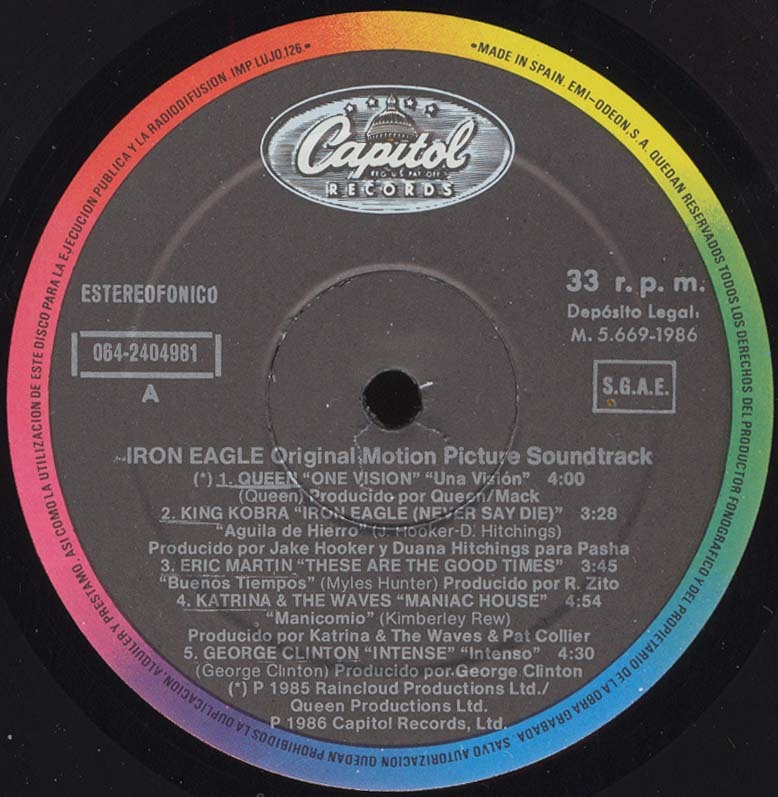 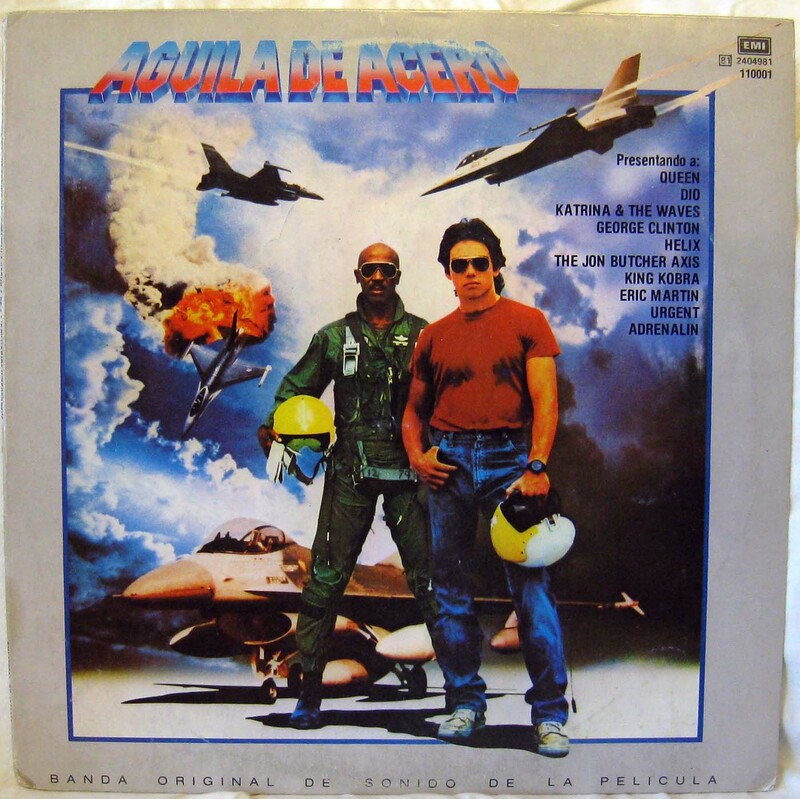 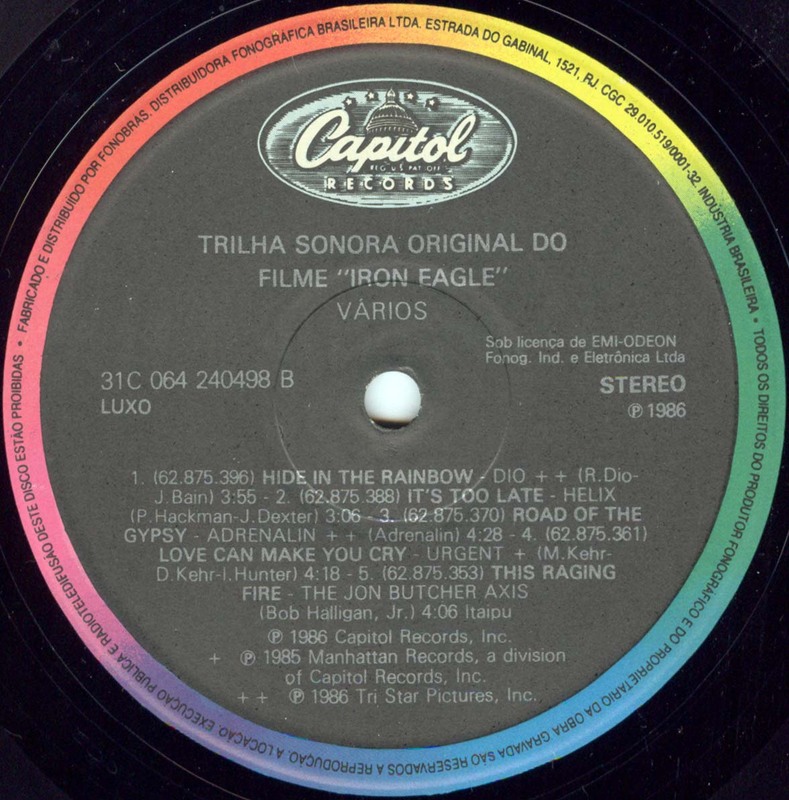 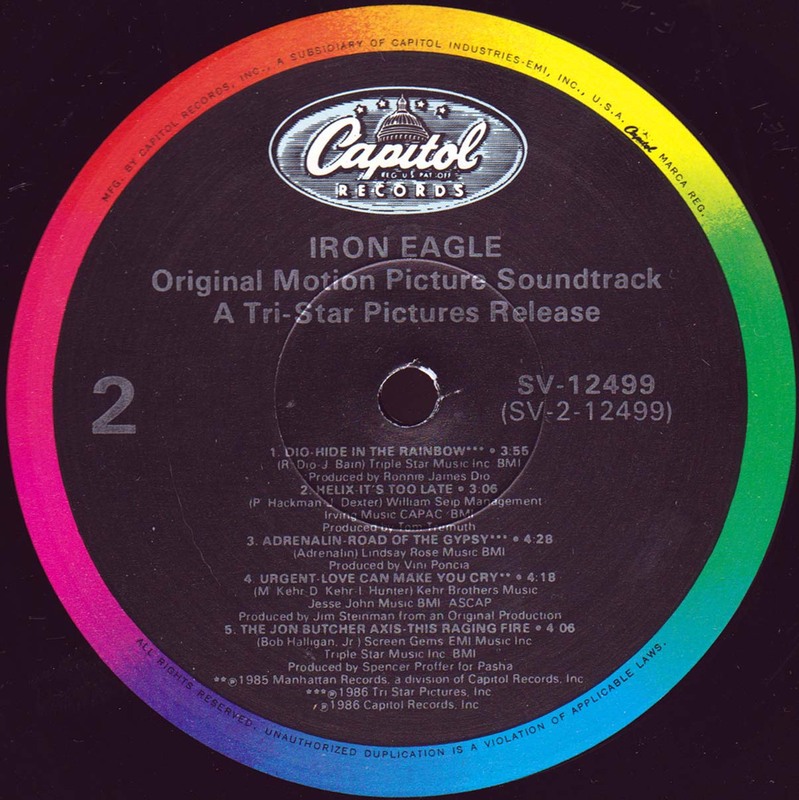 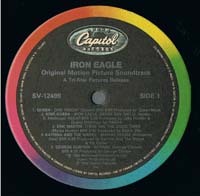 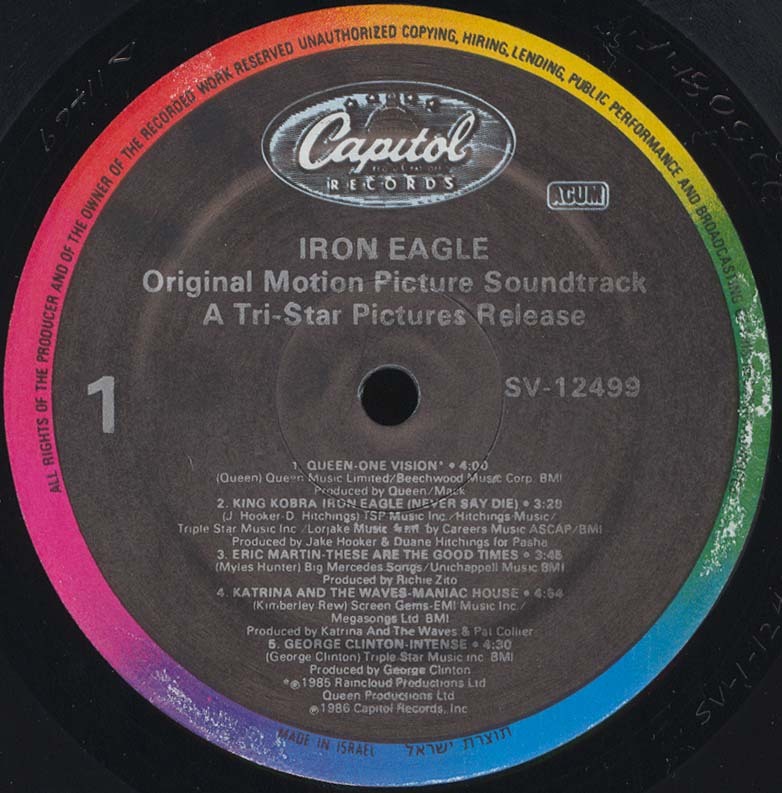 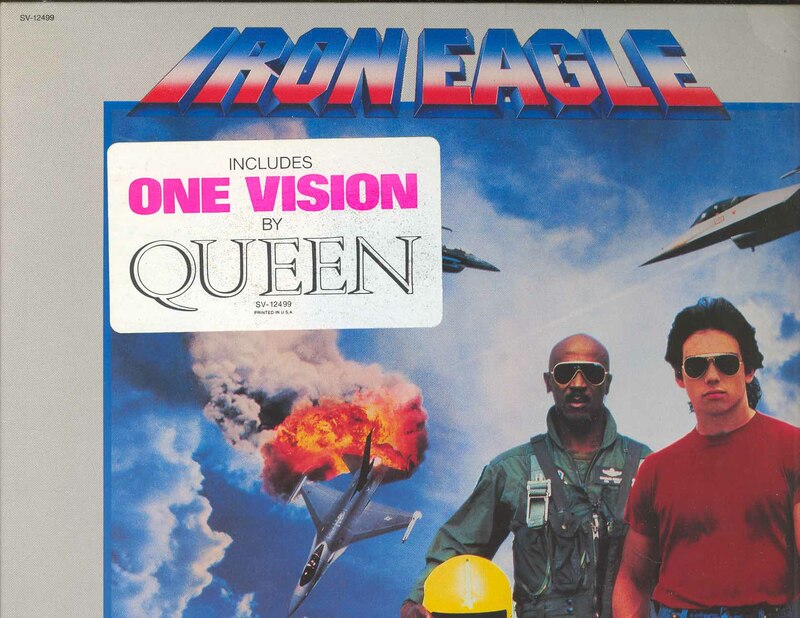 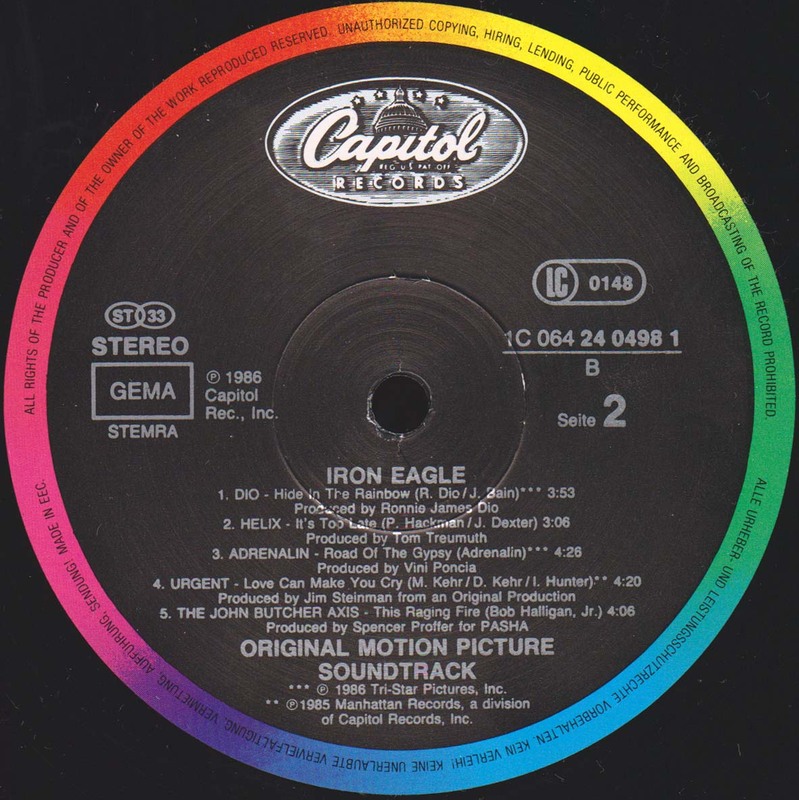 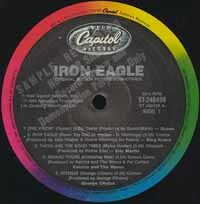 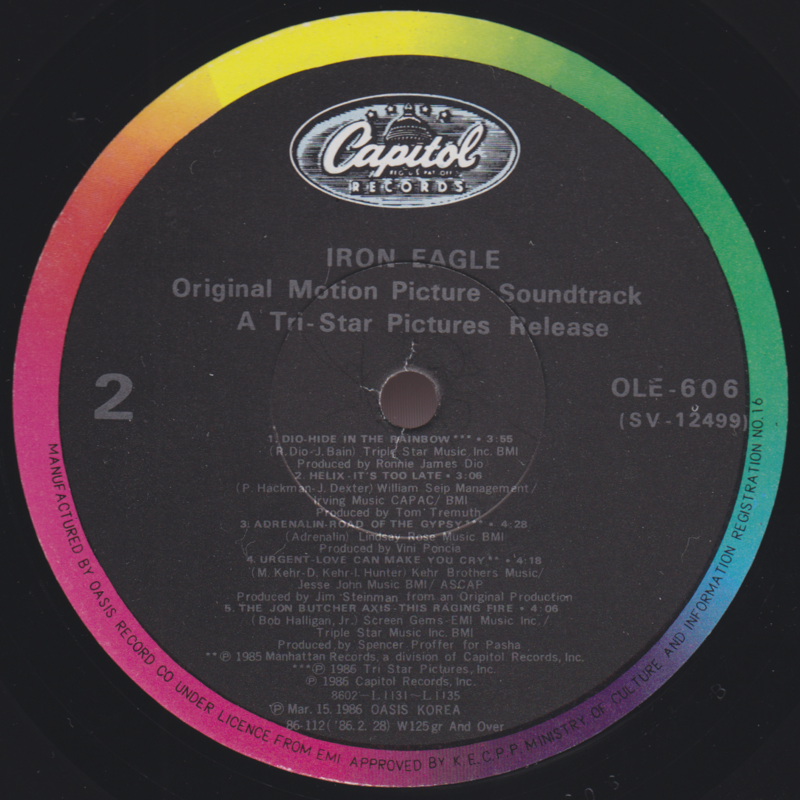 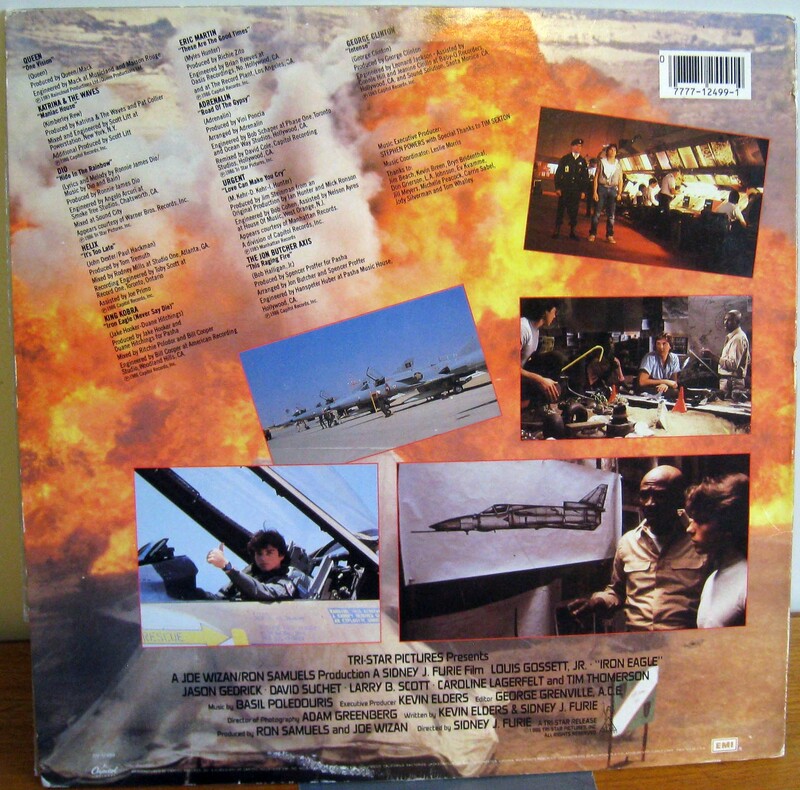 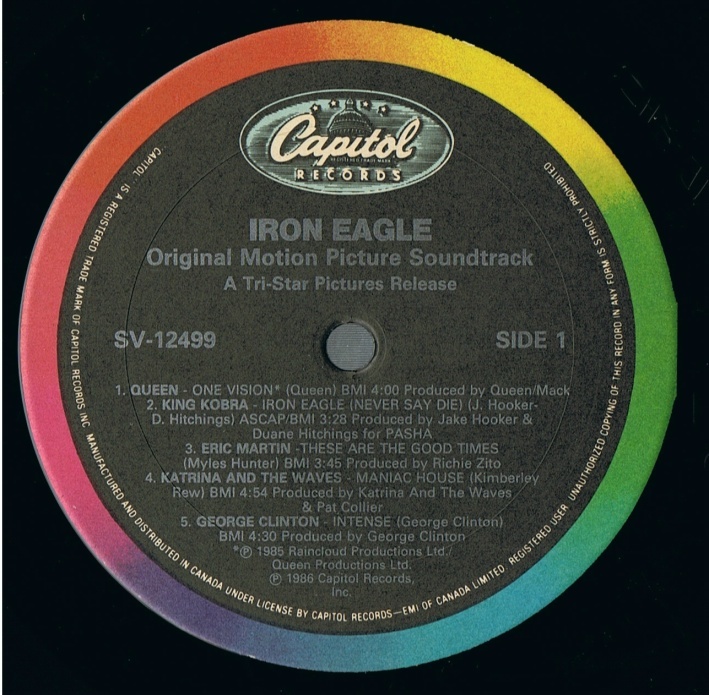 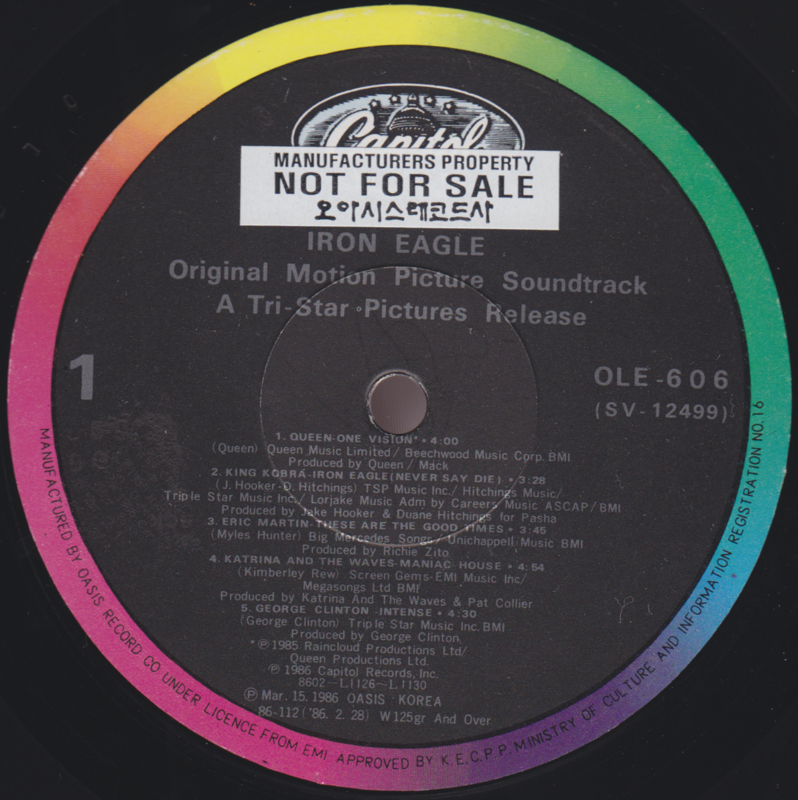 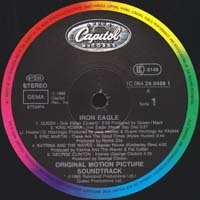 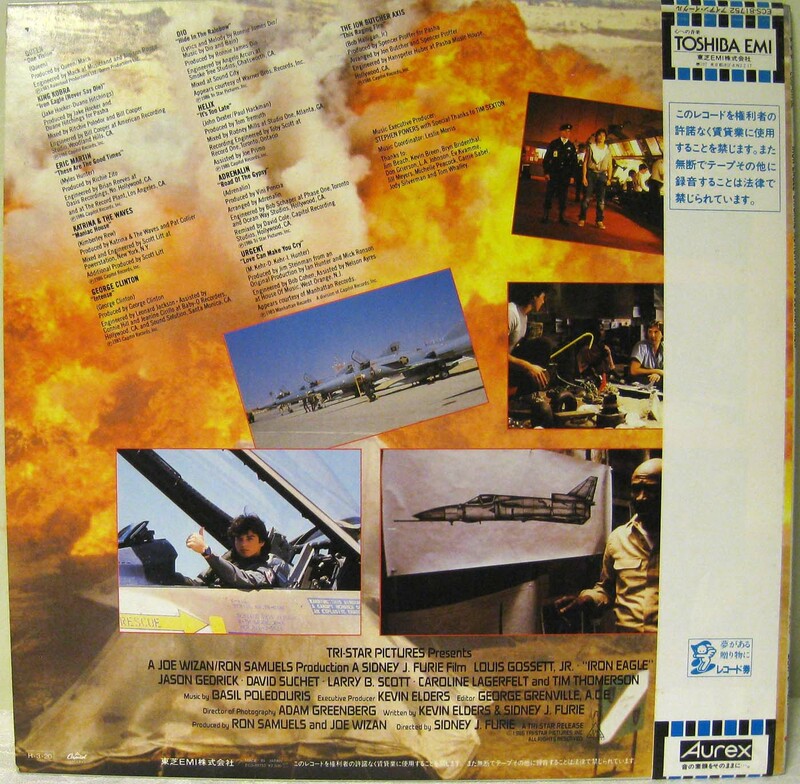 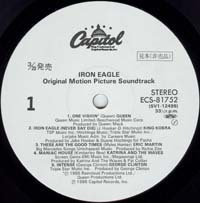 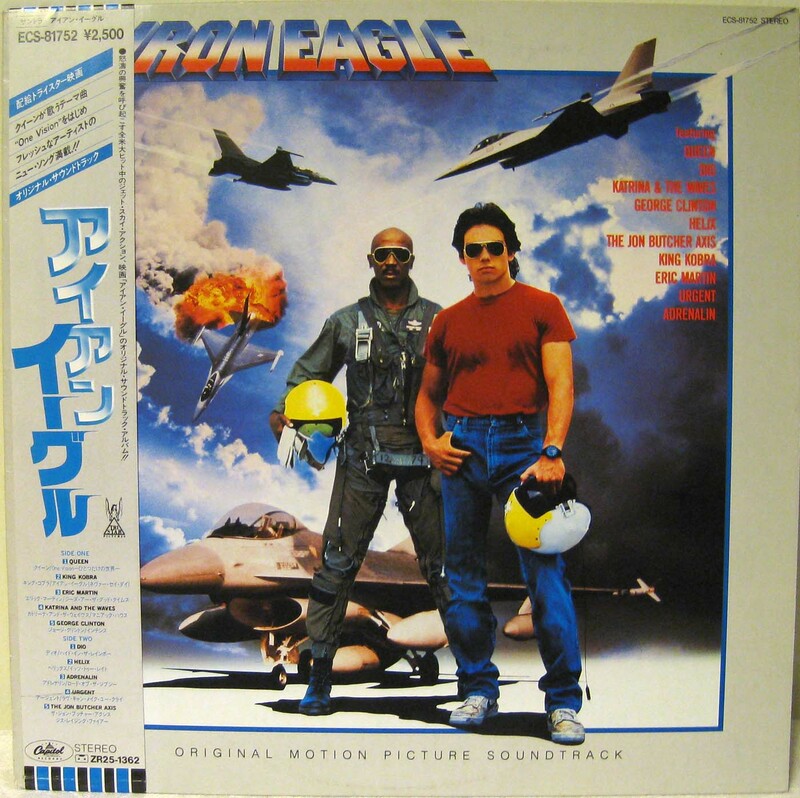 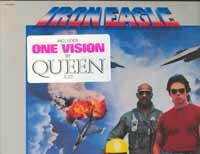 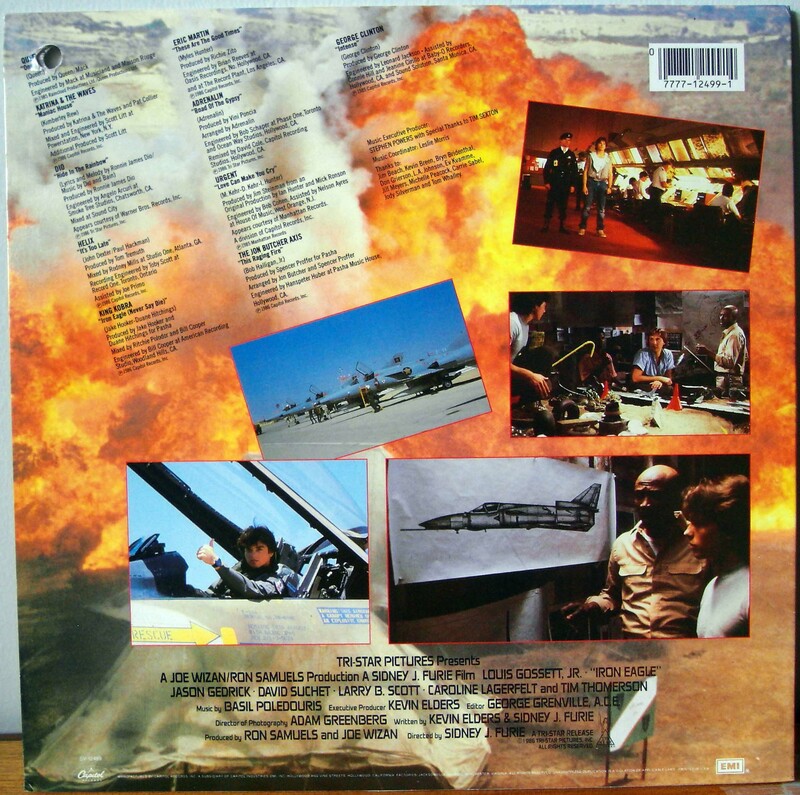 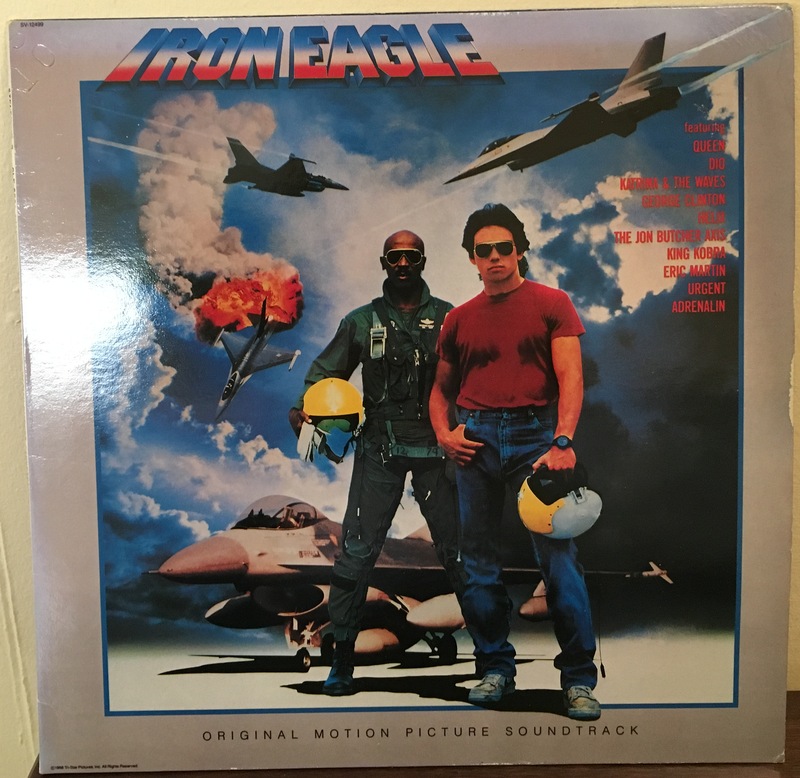 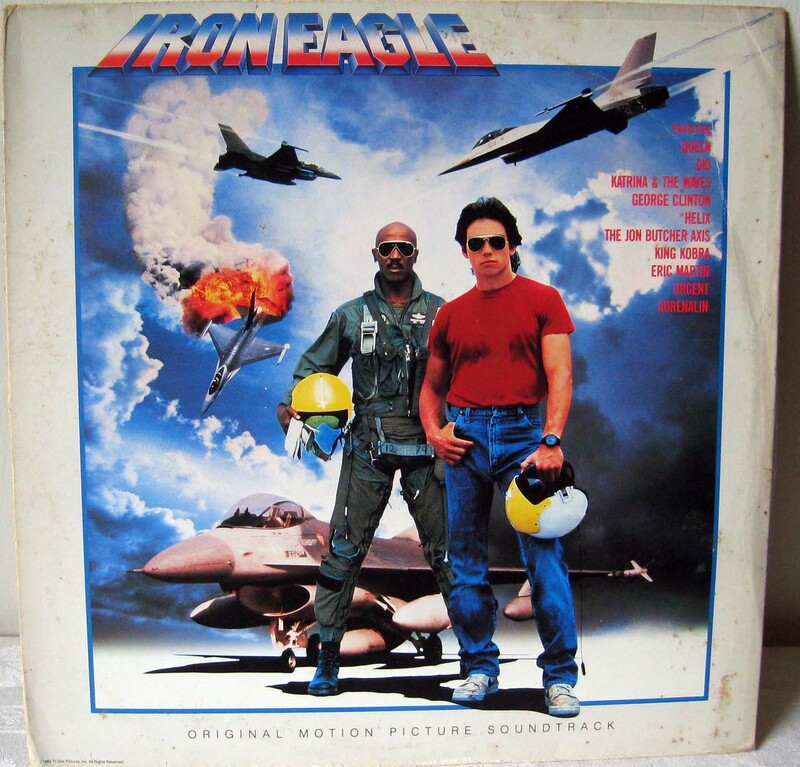 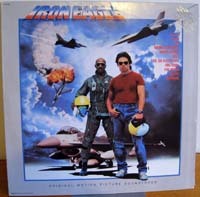 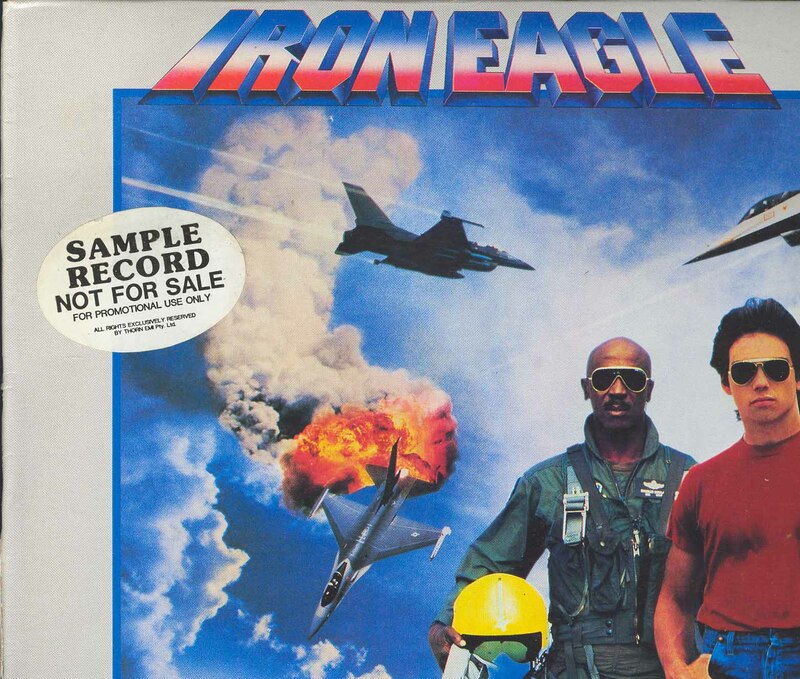 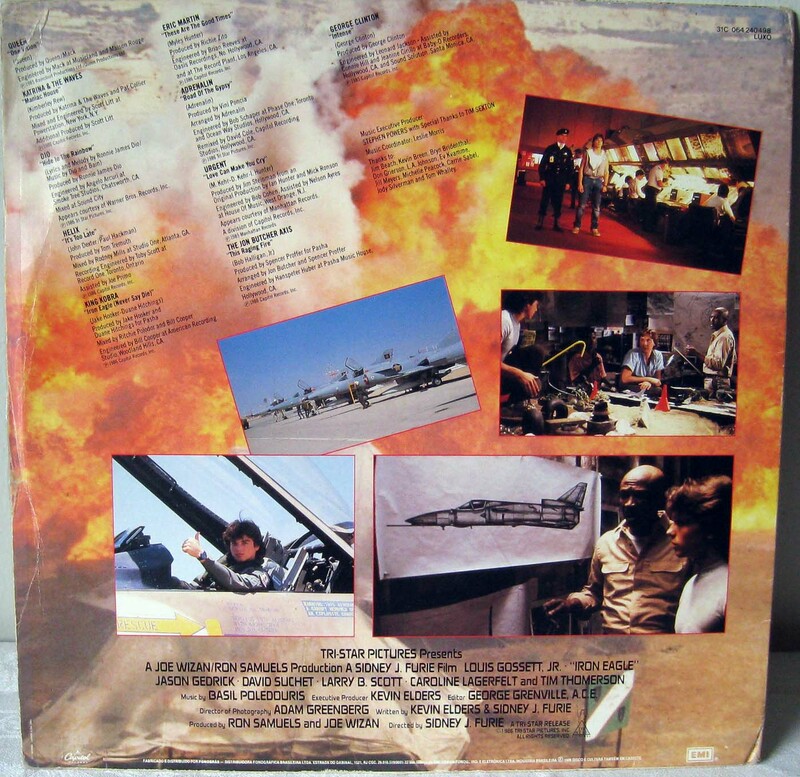 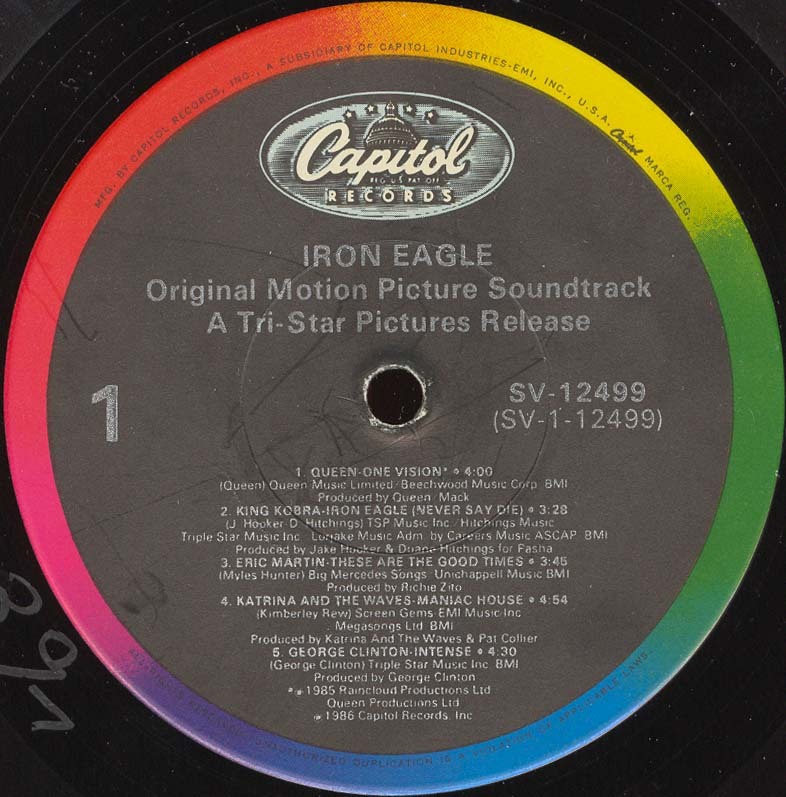 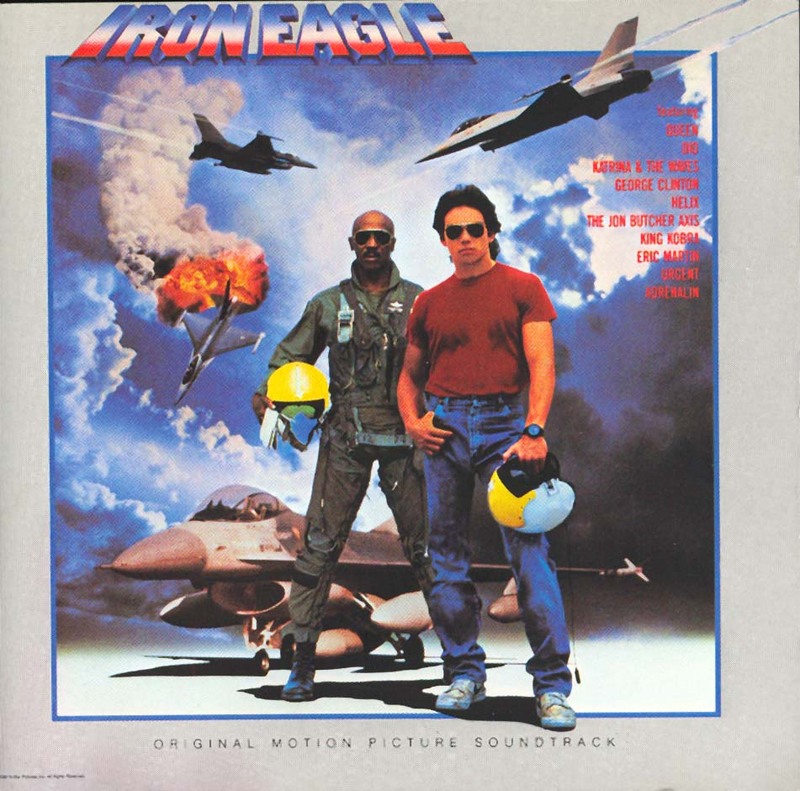 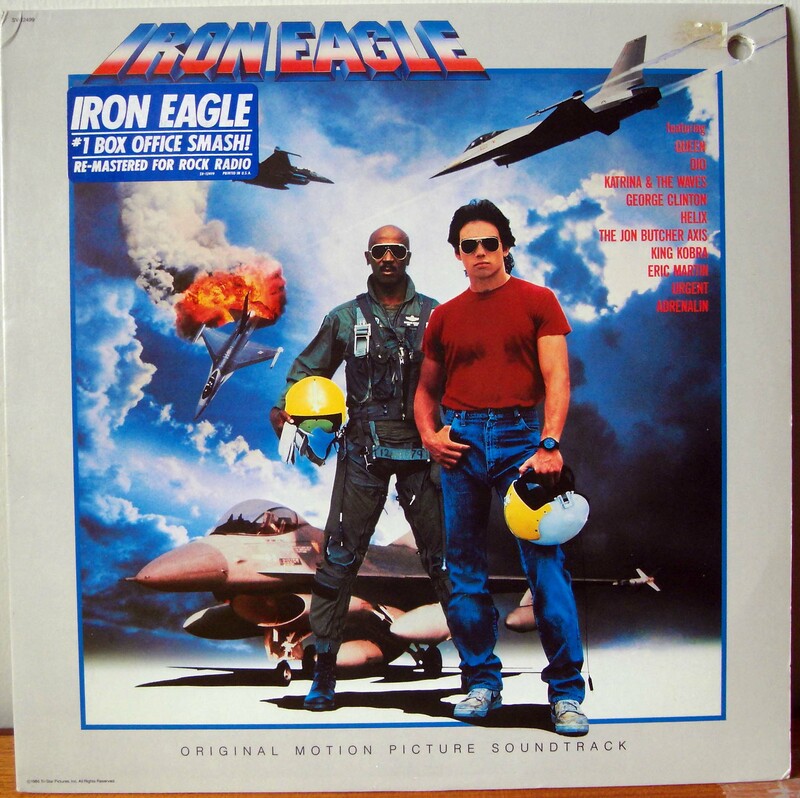 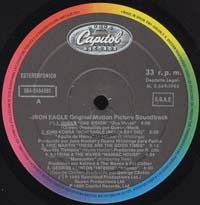 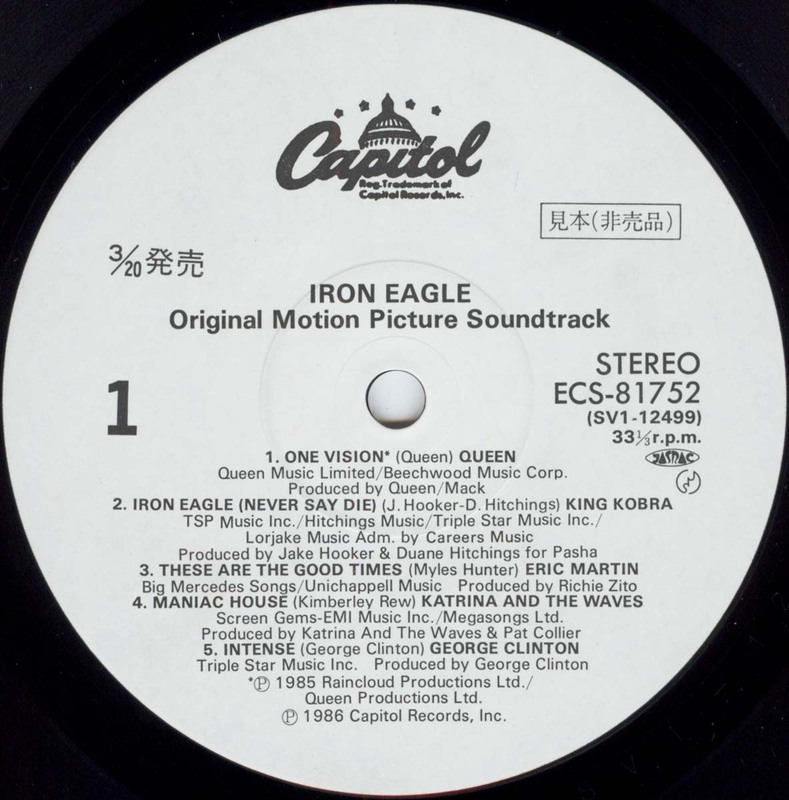 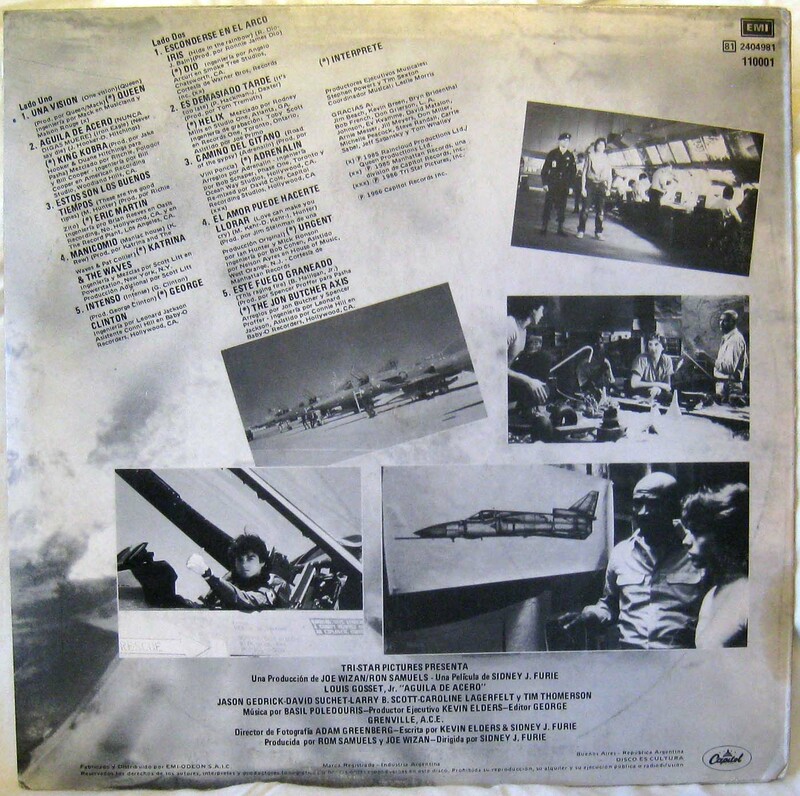 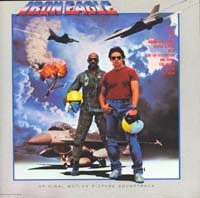 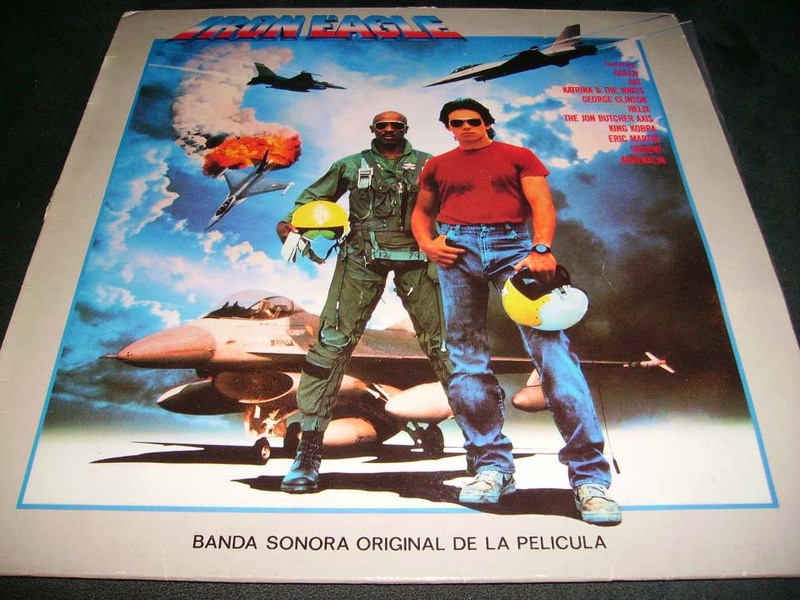 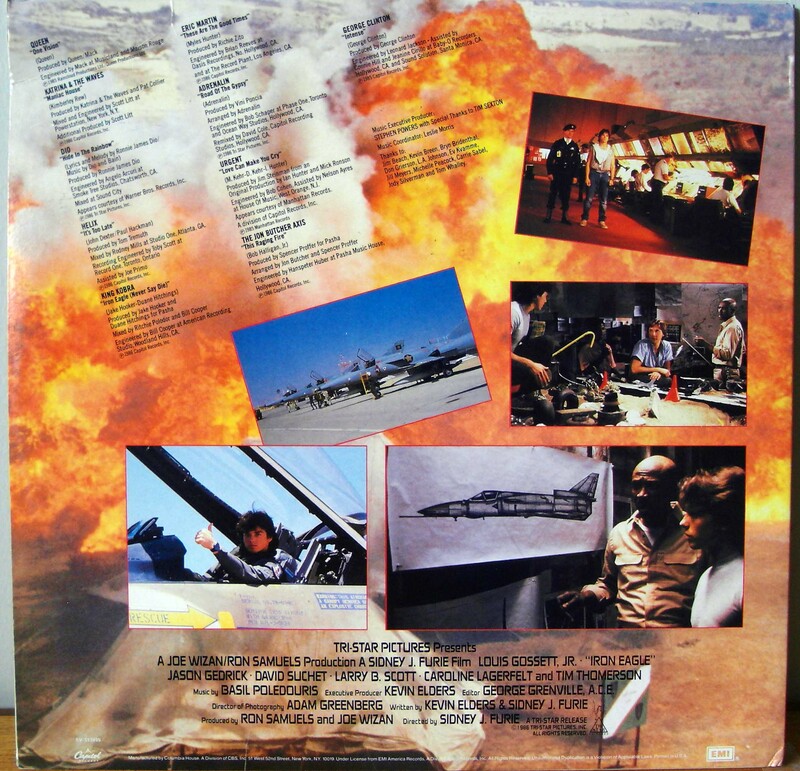 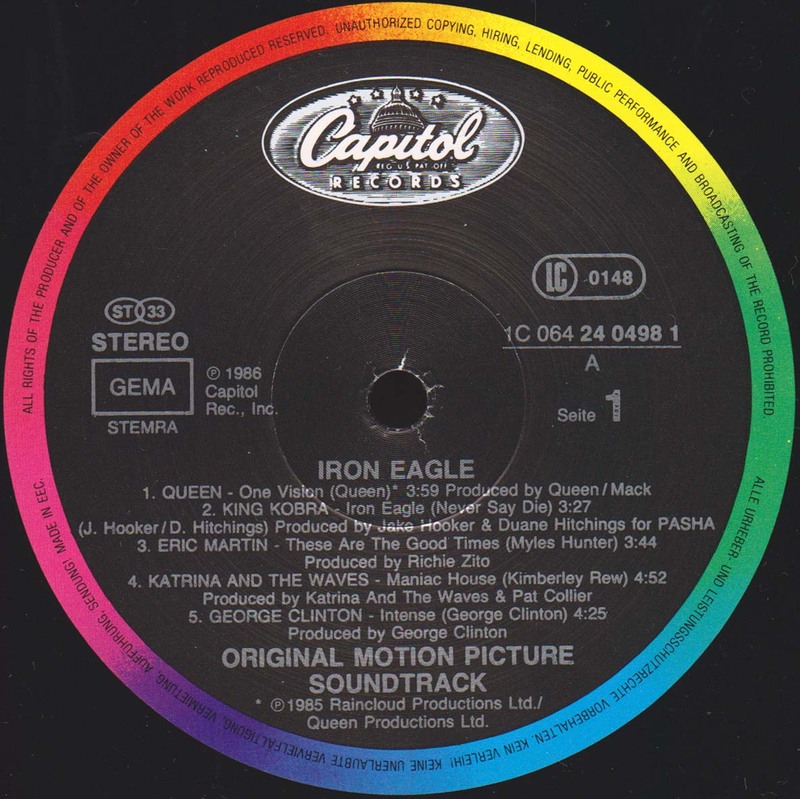 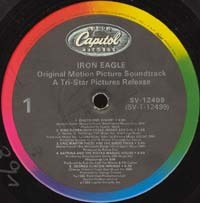 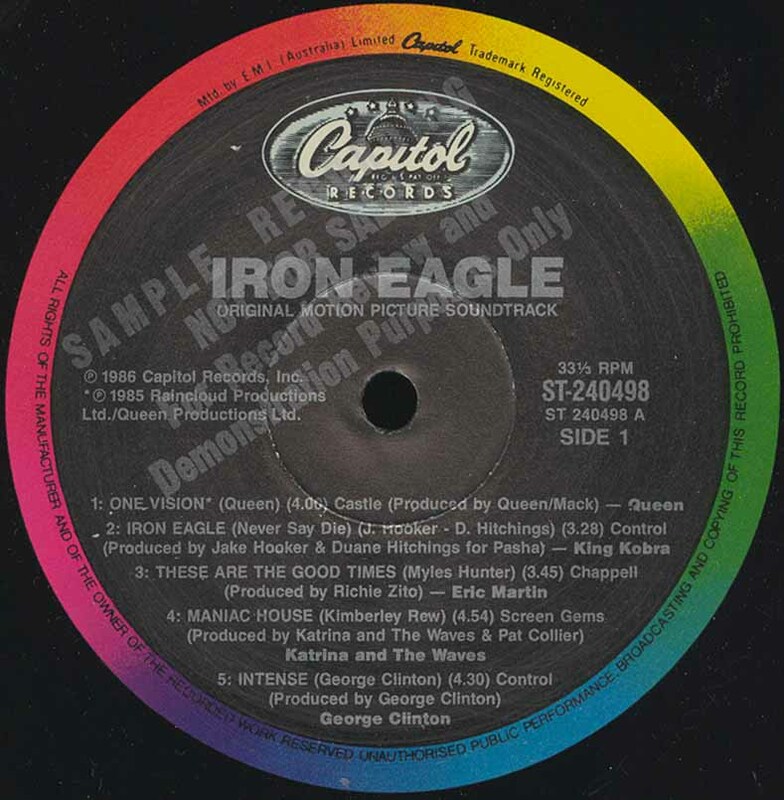 Original Motion Picture Soundtrack "Iron Eagle"
- Promo release, promo stamps on labels. 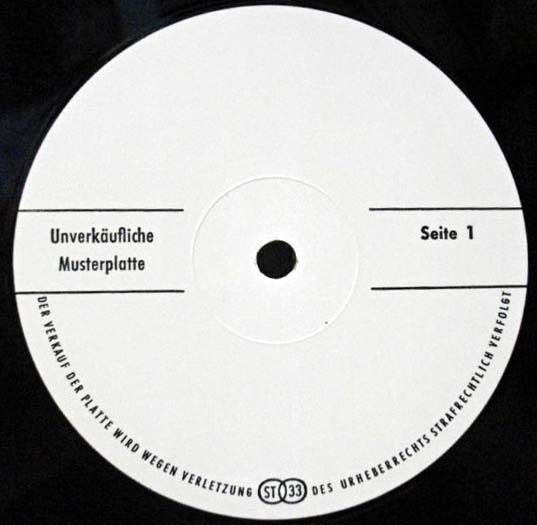 - Some sources claim this would've been made in Holland, but Germany is more likely country of origin. 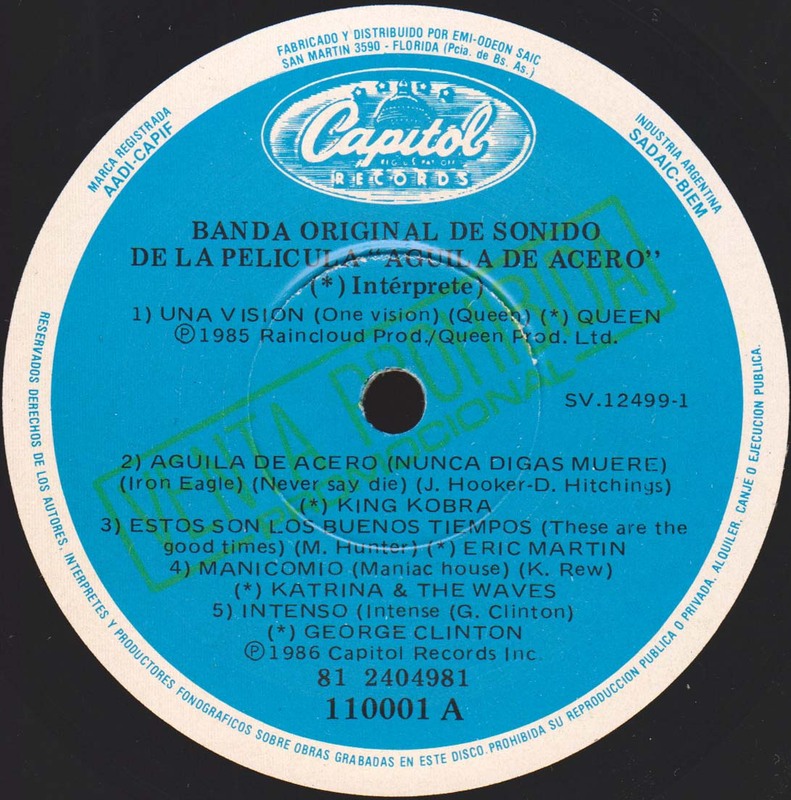 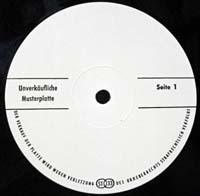 - Has a black & white promo sticker on the side A label, embossed promo text on the front sleeve top left corner. 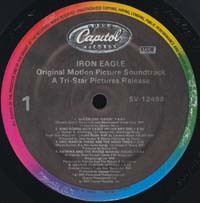 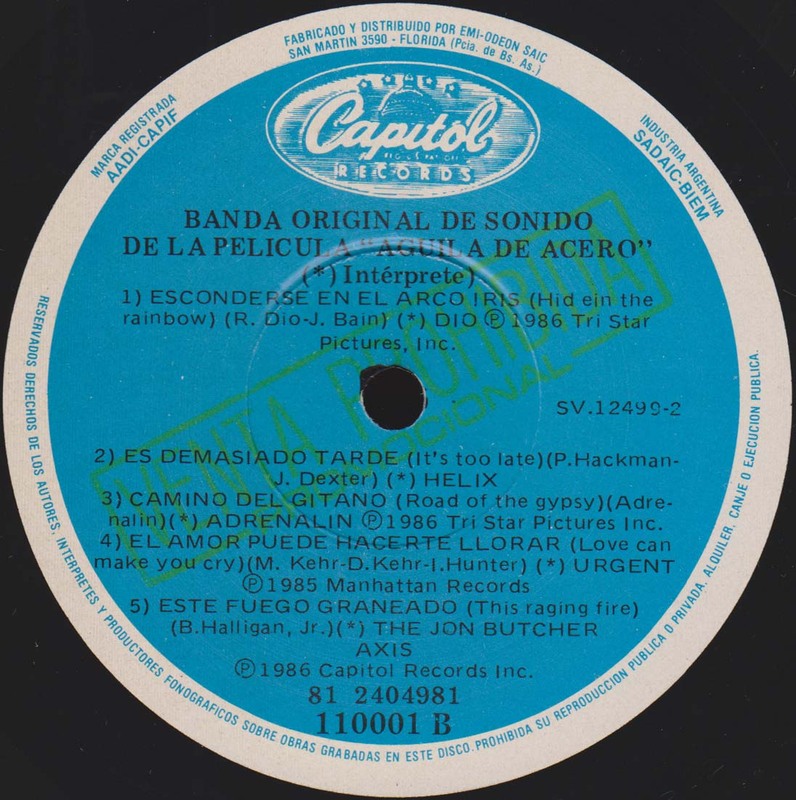 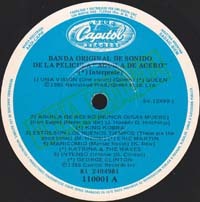 - Golden promo stamp on the top right corner of the front sleeve, different than on the other promo pressing. 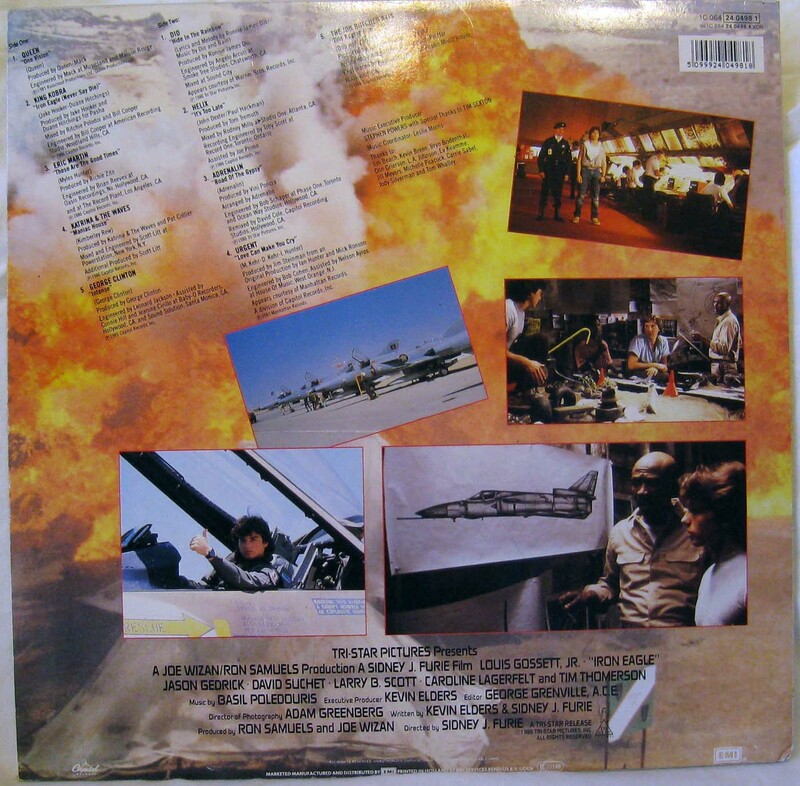 The page has been updated on 2013-07-06.